Jayne Warrilow is founder of Coaches Business School, a training company that helps coaches to succeed in business. She is one of the world’s most exclusive business coaches and her clients are by invitation and referral only. 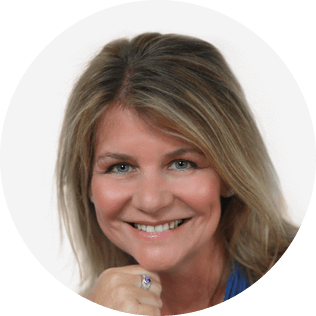 Jayne has worked with CEOs and senior executive teams around the world, but her true passion is helping coaches awaken to their full potential, to build conscious, 6 and 7 figure businesses. Her unique frameworks enable coaches to make a real impact in their chosen niche, to become a trusted authority and potentially, to lead the field. Her clients are passionate, powerful and prosperous with a track record of success, individuals looking to play even bigger and make a positive difference in our world. The 10 Day Coaches MBA is Jayne’s latest bestselling book, it is enabling coaches worldwide to understand how to make a good living as a coach in the new era of business. Born and raised in England, she has worked with leading organizations and individuals in the United States, Europe, Asia, Australia and Latin America. Jayne now lives and works out of the Greater Los Angeles Area, California. As the coaching profession matures, a new paradigm is calling coaches into inspired action. Individuals who have a natural gift for being on the leading edge and who walk in resonance are beginning to emerge. Catalysts who sense between the invisible and the visible, bridge builders who have the capacity to connect different paradigms, cultures and realities. Global human beings who are deeply intuitive and can sense into the gravitational pull of the future, defining new frontiers and capable of doing the deeper work that inspires sustainable change. Catalysts of risk and architects of new possibilities for ourselves and others. These are the coaches who are redefining our world one client at a time. Are you feeling called to awaken to your full potential as a coach and a human? In today’s fast moving, interconnected global world, coaches are awakening to a different relationship with life and business. It takes courage to evoke the unseen, to reach beyond ourselves and open to a deeper dialogue with life. The shift in human consciousness starts with heightened self-awareness and the healing and reclaiming of our whole self. This is a courageous call for coaches who want to inspire new possibilities by exploring a new and meaningful energetic paradigm that enriches the lives of those who embrace it. 2. Discover the clarity of your own calling and learn to embody what matters most. You know that if you want to make an impact with your coaching, you need to grow your business, but with all the noise in the marketplace you just aren’t sure what to do. It can be so difficult to know where to start without losing your confidence or doing the wrong things. It’s easy to feel discouraged. The truth is, in today’s hyper-competitive, digital marketplace most coaches struggle to build a business that works. What if it were possible to invest in something that gives you clarity, one clear path to follow to build a profitable 6 or 7 figure coaching business while making a real impact with your coaching? Now you can. Building your coaching business has never been easier. I will be sharing the exact steps to follow at each level of your business growth and unlike other business training, I will be giving you the complete path to quickly build your business from startup to a 6 or 7 figure coaching business and I’ll be sharing some new research about what your clients really want. PLUS we’ll be diving deep into one area where a lot of coaches get stuck, pricing and packaging. We’ll be taking a detailed look at how to double your rates with integrity. 1. A clear path to success – a definitive plan to build your purpose-driven and profitable coaching business and tackle the business problems all coaches face. 3. How to double your rates with integrity (so that your clients WANT to pay you more).